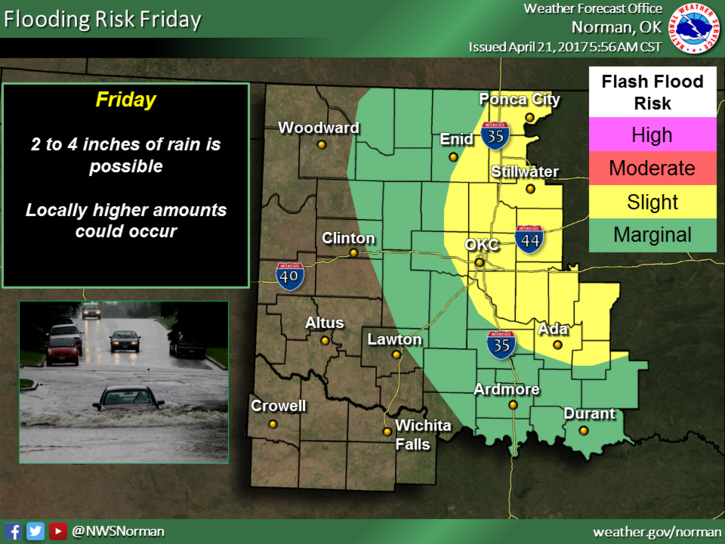 Isolated to numerous showers are expected across Oklahoma before 2:00 p.m. today. 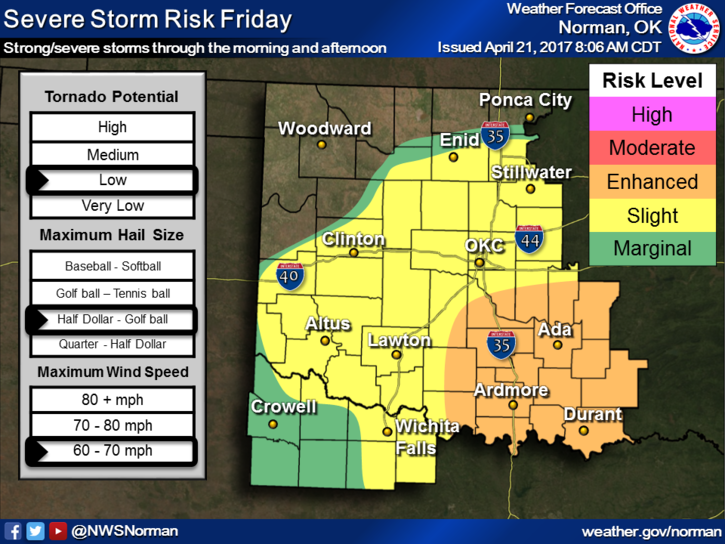 Damaging wind, large hail and heavy rainfall are the main threats. 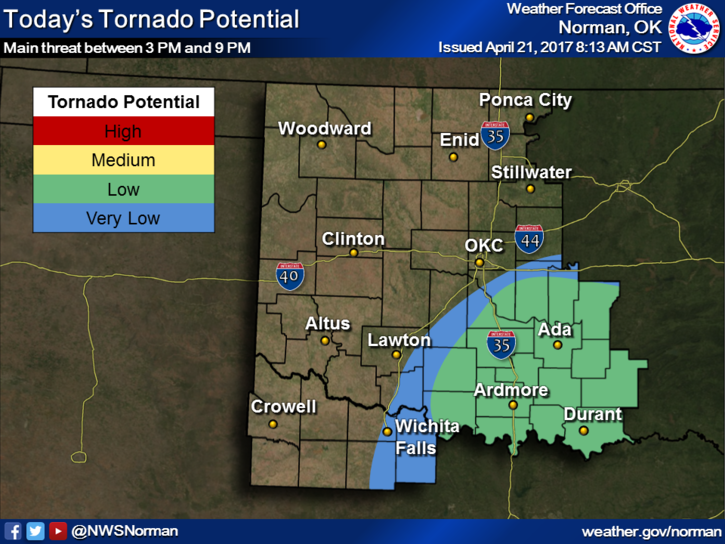 Between 10:00 a.m. and 2:00 p.m., there may be a low potential for tornadoes southeast of a line from Frederick to Lawton to Holdenville. The Oklahoma City metro area is under a severe thunderstorm warning until 10:15 a.m. as a line of storms is dumping heavy rainfall on the area. Several roadways are flooding, including major interstate thoroughfares. The Oklahoma Highway Patrol has reported the I-235 northbound on-ramp and all lanes from 36th to 50th are shut down due to flooding, as of 9:51 a.m. This is a serious storm. A lot of water coming down. The city drains well, but it won't start draining until it quits raining. Be smart. ⚠️ TRAFFIC: High water is causing traffic problems near the State Capitol Complex on eastbound NE 23 at Lincoln Blvd. Avoid the area. Additionally storms may form between 2:00 p.m. and 10:00 p.m., mainly southeast of I-44. Very large will would be the main hazard. No severe weak is expected after 10:00 p.m. tonight. As of 9:51 a.m., Oklahoma Gas & Electric reported 7,561 customers without power throughout its service area.